Digital Cinema Media (DCM) has announced the full entry list for the inaugural Digital Cinema Media Awards, held in association with Campaign and Media Week. There are 37 entries across the five categories from a range of agencies and brands. The awards scheme will celebrate and reward the best advertising work showcased in cinema by the media industry over the last year. 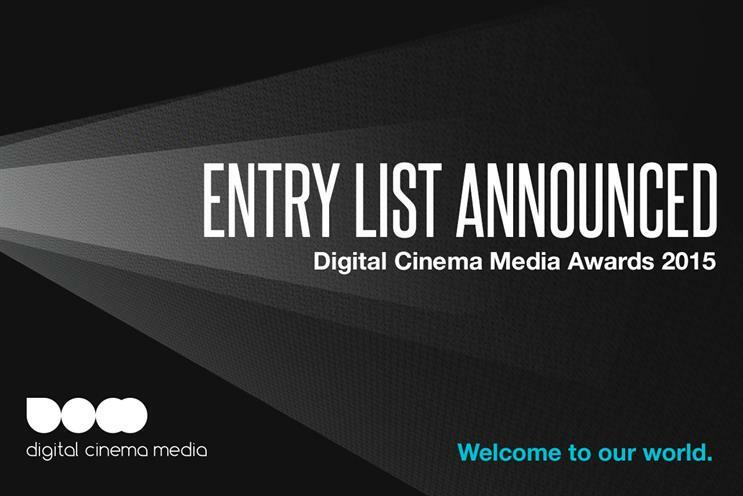 Karen Stacey, DCM’s CEO, commented: "We’ve received an exceptional selection of entries for the inaugural Digital Cinema Media Awards, setting the bar high for years to come. I look forward to working alongside our fantastic panel of judges to review the many creative and inventive ways our industry has used cinema to produce outstanding results for brands." Entries include best use of dynamic targeting in cinema, best use of cinema in an integrated campaign, best long-term cinema campaign, best newcomer to cinema, and best use of innovation in cinema. The awards will have individual category winners and there will also be one overall Grand Prix awarded for the most effective and forward-thinking campaign of the last year. Chaired by Claire Beale, global editor-in-chief, Campaign, an esteemed judging panel will meet on 3 September to judge submissions. Claire will be joined by Jenny Biggam, owner, the7stars; Karen Blackett, CEO, MediaCom; Philippa Brown, CEO, Omnicom Media Group; Andy Edge, commercial director, ODEON; Jon Forsyth, founder, adam&eveDDB; and Tim Lindsay, CEO, D&AD, among others. Winners will be announced at a red carpet awards ceremony on 23 September at the Ham Yard Hotel.